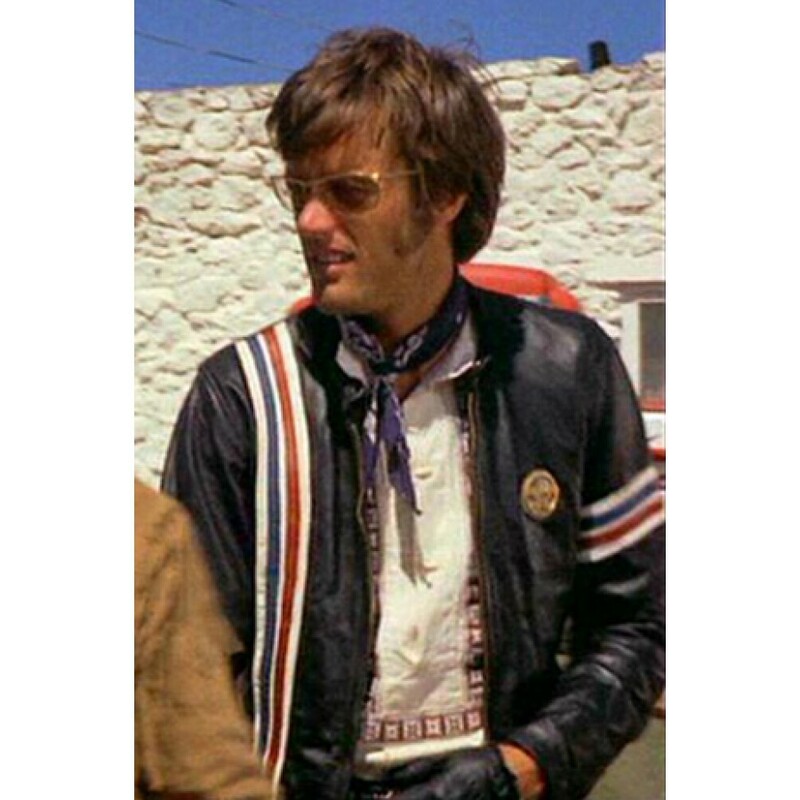 Peter Fonda Easy Rider Leather Jacket is a beautiful celebrity jacket that is liked by the people throughout the world. It has classical design that admires everyone, if you have to attend your friend’s gathering at the coming weekend and you are worry for your dressing; it is not the matter of being worry. Just buy Peter Fonda Easy Rider Leather Jacket and attend the party with full confidence. When you look beautiful you gain high confidence but if you do not get dress with attractive attire you loose your confidence. Increase your confidence level by wearing this marvelous jacket. 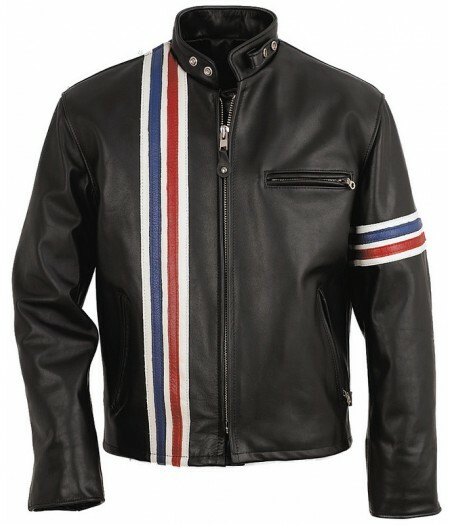 Peter Fonda Easy Rider Leather Jacket is the inspiration taken from the movie “Easy Rider”. This jacket is the best replica and gives patriotic feeling. If you want to prove yourself as a patriotic person you must select this jacket for all of your important gatherings. 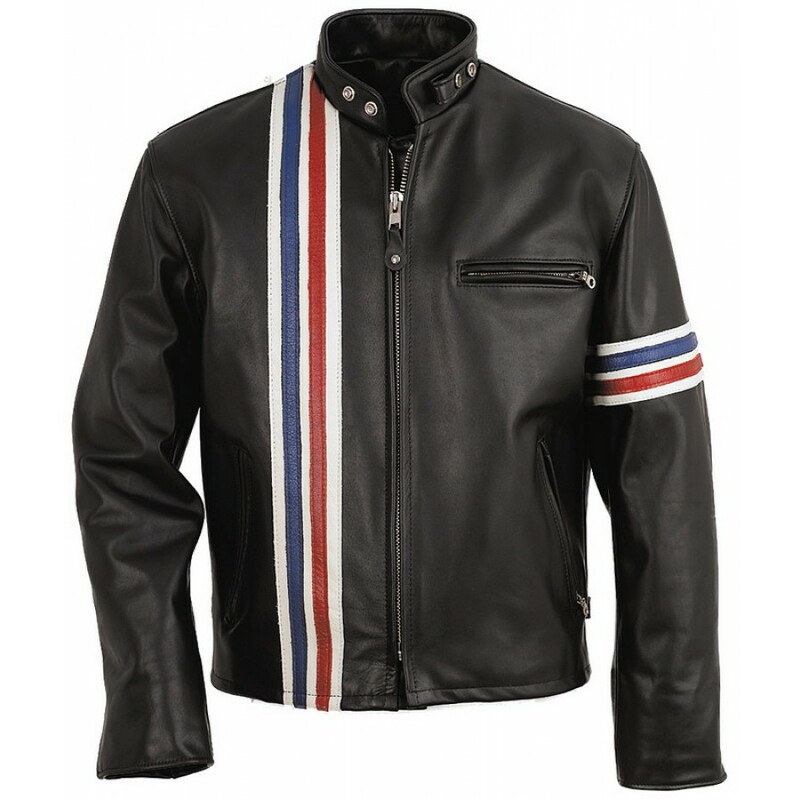 Captain America Easy Rider Jacket is prepared from real leather and viscose lining is given in the jacket for extra comfort. It is available in jet black. Front zipped closure is present in the jacket and the original YKK zip is provided in it. The sleeves also have a zip closure cuff that is the important feature of the jacket. There is long white stripe with red and blue stripe in it. Two side pockets and two inside pockets are given in it.